This piano finished rosewood award is part of our Constellation Series. 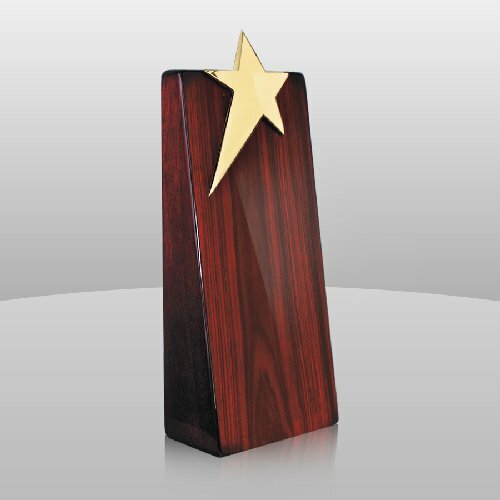 A gold metal star is on the top of this column shaped award. 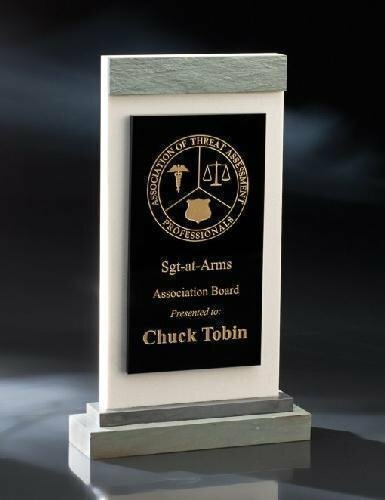 Engraving can be color filled or placed on a plate. This item currently comes in only one size. Perfect for any recognition or award ceremony, including sports, corporate or educational applications. 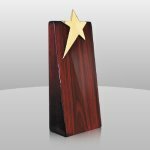 9-1/4" x 5-1/2" x 3-3/4"
The Constellation Wedge Award is made of crystal and cannot be engraved directly in house. 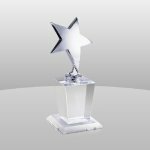 We can engrave on a gold or silver plate for this item. 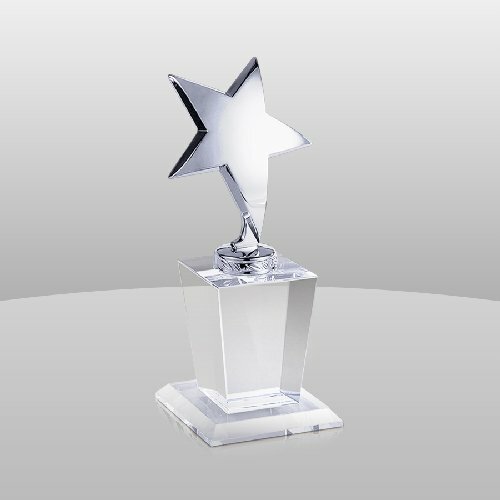 The top features a chrome metal star. This item currently comes in only one size. 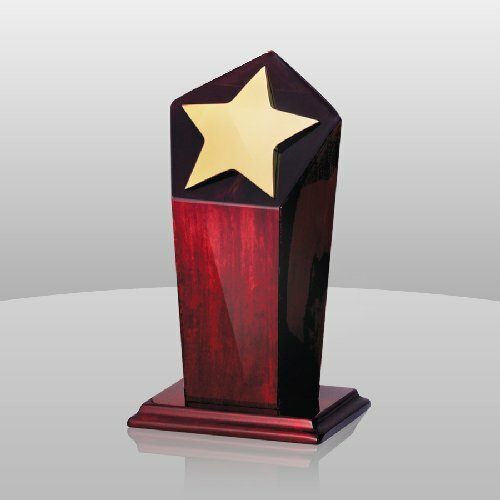 Perfect for any recognition or award ceremony, including sports, corporate or educational applications. 8" x 3-1/4" x 3-1/4"
Coos Bay is part of the Chien J. Wang Collection designed by international designer Chien J. Wang. Coos Bay is made of polished white stone with textured green stone trim and a black crystal engraving panel. 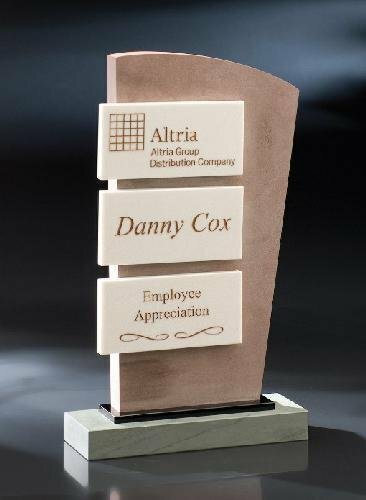 The textured green stone trim brings out the contrast of the smooth white stone. Chien uses this technique quite often by utilizing contrast to bring out the beauty.